Congratulations to Plain and Simple Quilt Shop! 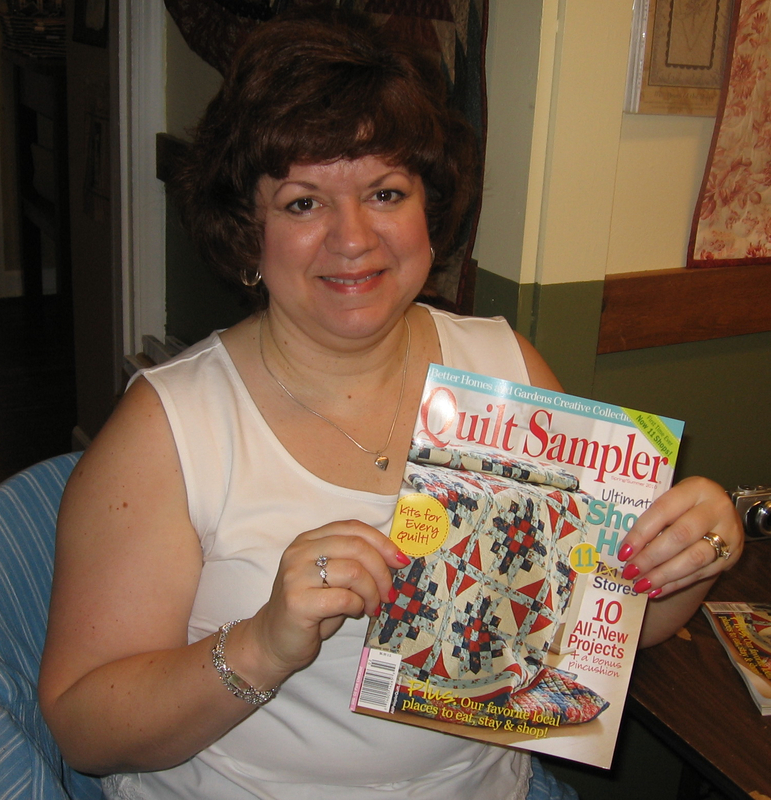 Plain and Simple Quilt Shop is one of the 10 shops featured in the latest issue of Quilt Sampler magazine! Congratulations to Sharon and the girls of Plain and Simple for making such a fun and inviting place to shop! I found Plain and Simple about 3 years ago and have been going at least once a week since then. This store has a great selection of reproduction civil war fabric, Jo Morton, cottage fabric, and tons of patterns for quilts, bags, dolls, and other primitive and americana items. Not to mention they have a great wool selection and tons of wool applique patterns. My fabric stash would be significantly smaller if the shop weren’t so close to my house! This is a well -deserved recognition, and I figure the shop will get more crowded since the secret is out. Stop by if you have a chance.